Performing gardening tasks like potting deep-rooted plants can make your wrists more susceptible to becoming dirty or scratched. 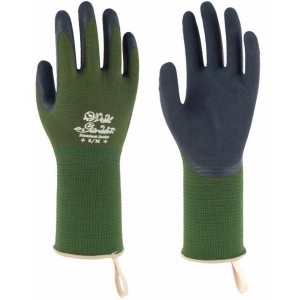 The Towa Foresta TOW394 Moss Green Premium Latex-Coated Gardening Gloves have been designed with a longer cuff to protect your wrists from dirt and scratches. The gloves also have a tough double latex coating on their palms to protect against the penetration of liquids. The Towa Foresta Gloves are moss green in colour with navy palms. Their product code is TOW394. 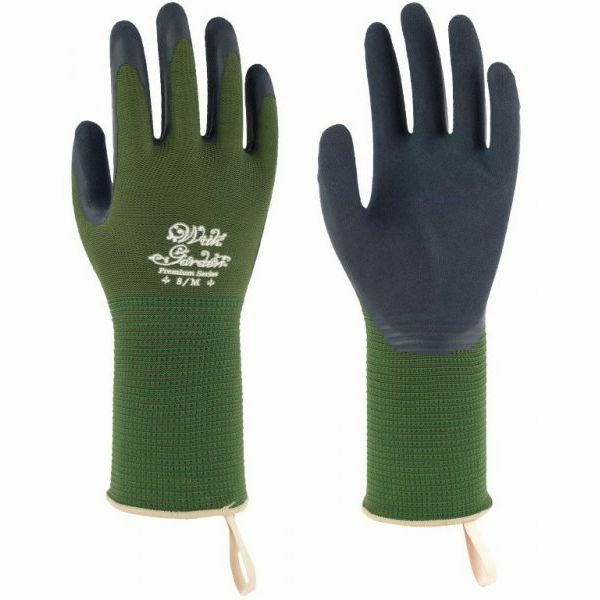 These Foresta TOW394 Gardening Gloves are available in three different sizes so you're able to find a pair of gloves that will keep you as comfortable as possible. Please refer to the measurements below to find the gloves that are most suited to your needs. The correct size can then be chosen from the drop-down menu at the top of the page.